Why is it that in academia we do not routinely adopt “best practices” created by other institutions? 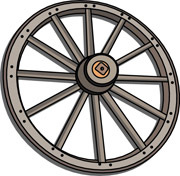 Why is it that we prefer to reinvent the wheel? Maybe it’s the fact that to earn a doctorate one had to research and write an innovative, new, previously un-researched aspect of one’s discipline. The mindset that permits one to succeed in that environment may also be a mindset that prevents one from merely adopting another’s practices. Maybe it’s also the fact that each institution believes that its students and environment are so unique that what works for one institution will not necessarily work for another. One example of that on our campus is student evaluations. At the end of each semester, students complete evaluation forms for every course taught by adjunct and tenure track faculty. Each college in the University has a different evaluation form and many of the forms were developed by a group of faculty within each school. There are commercial instruments available composed of validated, reliable questions-yet faculty choose not to use them because, in part, our campus is so unique. Student course evaluations can have an inordinate impact on faculty retention and promotion. 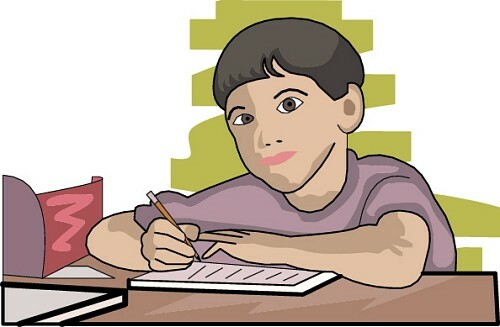 This is true whether the course evaluations are composed of rigorously tested questions or not. And, this is true even though students may not be entirely honest about their answers to the questions. In my post Another A Word-Course Evaluations, I talk about a study in which one of its findings was that students lie in course evaluations. Even though that is probably true, and it is also true that faculty can (and may have an incentive to) manipulate course evaluations, faculty committees and administrators continue to place inordinate weight on those evaluations when making hiring, promotion and tenure decisions. The point here is that if course evaluations are to be used to make such decisions, those evaluations should be based on reliable, validated questions created by experts. The point of the example is that universities should embrace best practices that have been successful and universities should focus upgrading the wheel rather than reinventing it. That would be more efficient, more effective and permit faculty to focus on improving teaching and learning. In a summary of a future to-be-published article, the Chronicle noted in an article titled “Students Lie on Course Evaluations” that students admitted lying in a way that harms faculty in student course evaluations. That’s the “A” word that relates to faculty promotion and evaluation-assessments students make of faculty. Faculty who study the field know that course evaluations should be only one of many items that are considered when evaluating faculty performance for retention, tenure or promotion. Our University’s policy is that there are many factors that should be factored in to a decision about how well faculty encourage student learning. Yet, many who are on faculty committees will spend an inordinate about of time developing and applying complex formulas to incorporate the results of course evaluations in a way that makes those course evaluations the pre-eminent determinant of faculty performance. Why is it that we are so comfortable with using course evaluation numbers as the primary factor to determine whether someone is a good teacher? Those numbers can be so easily manipulated. I know of some faculty who give students treats before the evaluations are administered. That has an impact on perception. A couple of times I’ve returned exam results immediately before evaluations were administered. Since everyone was not happy with those results, my course evaluations declined. Although my overall course evaluation numbers have been good, I know that I have done things that have an impact on the evaluations and that those things are not directly related to teaching. Perhaps the study referenced in the article will help us agree on the appropriate weight for student evaluations so that faculty can work on creating a learning environment instead of pleasing students.